(VEN) - Deputy Minister of Labor, Invalids and Social Affairs Doan Mau Diep suggested that vocational training should based on market demand, noting that nearly 1.16 million unemployed people were of working age. According to labor database, the unemployment rate increased in the first quarter of 2015, reaching 2.43 percent, compared with 2.05 percent in the fourth quarter of 2014 and 2.21 percent in the same quarter of 2014. In addition, urban unemployment hit 3.43 percent, a 1.8-fold increase over the rural unemployment rate. Out-of-work university graduates increased by 3.92 percent, college graduates by 7.2 percent and vocational high school graduates by 6.69 percent. Meanwhile, the unemployment rate among manual laborers dropped to a surprise 1.97 percent. According to Doan Mau Diep, about half the national labor force is untrained, receiving low pay and often facing unemployment. Meanwhile, trained workers and graduates have failed to be employable. As of the first quarter of 2015, there were 1.13 million unemployed across the country, a 2.32 percent increase over the fourth quarter of 2014. Rural unemployed were double the number of urban unemployed. 75.8 percent of which were unemployed for less than 12 months. Average income per worker including payment and additional work benefits in the first quarter of 2015 reached VND4.9 million, a VND500,000 increase over the fourth quarter of 2014 and a VND100,000 increase over the same quarter of 2014. 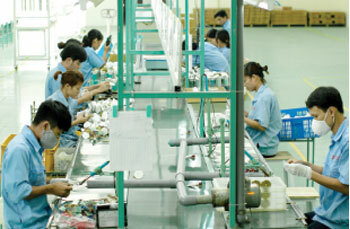 According to the General Statistics Office of Vietnam, processing and manufacturing sectors are forecast to better develop in the fourth quarter compared to the first quarter of 2015, with the most likely sources of employment include electronics, computers, optical devices and equipment, cigarettes and pharmaceuticals. In addition, the Employment Law which took effect from January 1, 2015, together with the Vocational Education Law have provided a comprehensive legal framework for the development of the domestic labor market in the context of increasing regional and international integration. Moreover, the establishment of the ASEAN Economic Community (AEC) by the end of 2015 will present domestic laborers both opportunities and challenges. Labor demand in the processing and manufacturing sectors has continued to grow since the first quarter of 2015, with 86.4 percent of enterprises pledging to increase their workforce this year. The foreign-invested sector has attracted the most new employees since the second quarter of 2015.